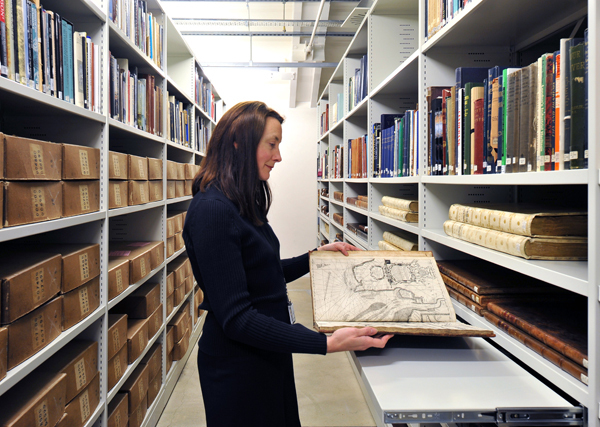 Rackline is one of the UK’s leading manufacturers of archive and storage solutions for the museum sector. We have successfully delivered projects for a number of museums including London’s National Maritime Museum, the Natural History Museum as well as the Victoria and Albert Museum. Plus, we have completed projects for the Dacorum Heritage Museum in Hertfordshire and the Tank Museum in Dorset. Established in 1984, we design and manufacture innovative storage solutions to meet the general filing and archive requirements of our clients. We pride ourselves on providing a bespoke and flexible service to meet our clients’ needs that optimise on the space available and can create up to 50% more storage space. All of our products are built to BS5454 standards. Our innovative storage systems include multitrak mobile racking; plan chests; mobile storage units; profile shelving; proform shelving; powered mobile shelving (Powertrak) and bespoke hanging map storage systems.